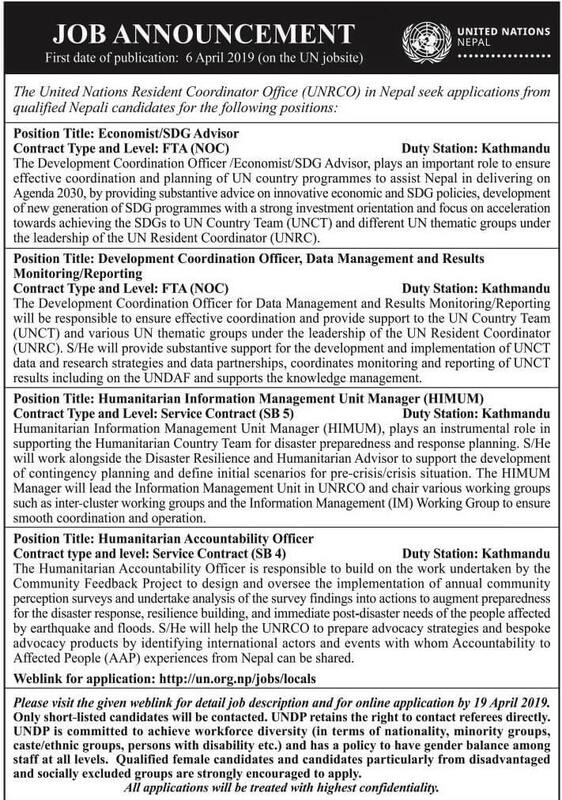 Please visit the given weblink for details job description and for online application by 19 April 2019. Only shortlisted candidates will be contacted. UNDP retains the right to referee directly. Application deadline: 19 April 2019.